Perfect Paint Lines Every Time - Central Real Estate Inspections, INC.
Have you ever carefully placed painter’s tape and painted a wall only for the tape to cause an uneven or jagged line once you remove it? Professional painters use a simple trick to prevent this. When you use painter’s tape to block an edge, the paint will likely cover part of the tape. This creates a film that, when you remove the tape, can cause uneven lines or even cause some of the fresh paint to chip off the wall. 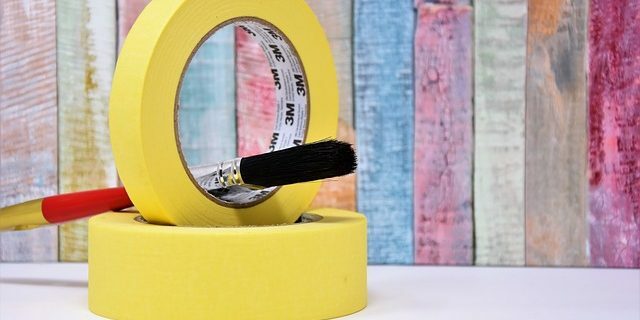 Instead of yanking up your painter’s tape, use a box cutter or utility knife to slice through the film at the edge of the tape before you pull it away from the wall. It’s important to wait at least a full 24 hours before you try to pull painter’s tape away from the wall. After slicing the film with your knife, pull the tape at a 45-degree angle to avoid chipping or making a mess. You should notice a perfect paint line where you sliced the paint film!